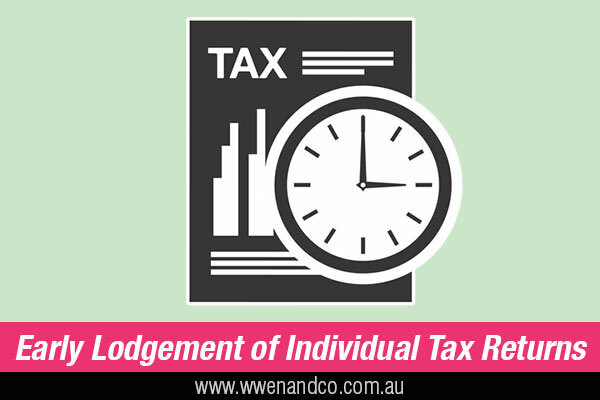 Usually, the ATO only accepts early lodgement of individual tax returns in certain circumstances. If you are planning to permanently move out of the country before the end of this financial year, you may be able to lodge your tax return early. and you won’t be deriving any Australian sourced income (excluding interest, dividends and royalty income). The same applies if you are already not a resident for tax purposes. If you will still receive Australian sourced income – besides interest, dividends and royalties – after leaving Australia you will need to lodge your return in the usual tax period (that is, from July 1). The same applies if you have a Higher Education Loan Program (HELP) or Trade Support Loans (TSL) debt, and of course if you are not leaving Australia permanently. And don’t forget that using this services of this firm also give you access to extensions of time to lodge (ask us about this if it applies to your situation). Note that refunds of franking credits may only be claimed by people who were Australian residents for tax purposes at the time the related dividend was received. collect payment summaries from each of your employers along with any other details regarding income earned while in Australia (payslips are not sufficient as they may not contain final payment details). contact the ATO (or have us do that for you) to talk about any outstanding debts, and lodgement of any tax returns for earlier years. consider any recent legislative changes (which we can help you with) that may affect your circumstances when preparing your early return. Working holiday makers (that is, people on a 417 or 462 visa) who intend to lodge before the end of the current income year will need to supply additional information to help ensure the ATO arrives at the correct outcome due to the changes in the law from January 1, 2017. There is no need to lodge two separate tax returns. And if you are overseas during the timeframe for lodging your return, but will continue to be an Australian resident for tax purposes or will keep earning Australian sourced income, you can contact us and we will assist you to lodge your tax return on your behalf.